Kealakekua IPA (6,5 % ABV) is a sample of the very current New England style of IPA. It's super juicy, soft and hazy, a real delicacy. We've dry hopped it with huge amounts of fresh aromatic hops that create a tropical and fruity profile. Recently, a new sub-style of IPA has started emerging also here in Finland. It's called the New England IPA or between friends, NEIPA. We've had some excellent samples, and the juicy profile and easy drinkability pleases many - like us. The unfiltered NEIPA's are hazy, juicy, strongly hopped and aromatic hop varieties are preferred in brewing them. Therefore dry hopping is a preferred technique used in brewing them. Like IPA's in general, also NEIPA's are a style of beer with lots of varieties. This style gives the brewer a chance to try out and play with fun stuff. Kealakekua is an island on Hawaii. It has an interesting history: for example, the famous captain Cook met his end there. Captain Cook is remembered in the nautical history for being the first European to land on Hawaii according to official documents. Although everything started well, the situation between the people of Kealakekua Bay and Cook's crew grew tense and after a short battle the captain met his end on the shore. Kealakekua, however, wasn't forgotten, and a number of ships stopped there along the years. The crews of these ships traded with the local people and often supplies were left to store on the island for ships sailing by later. 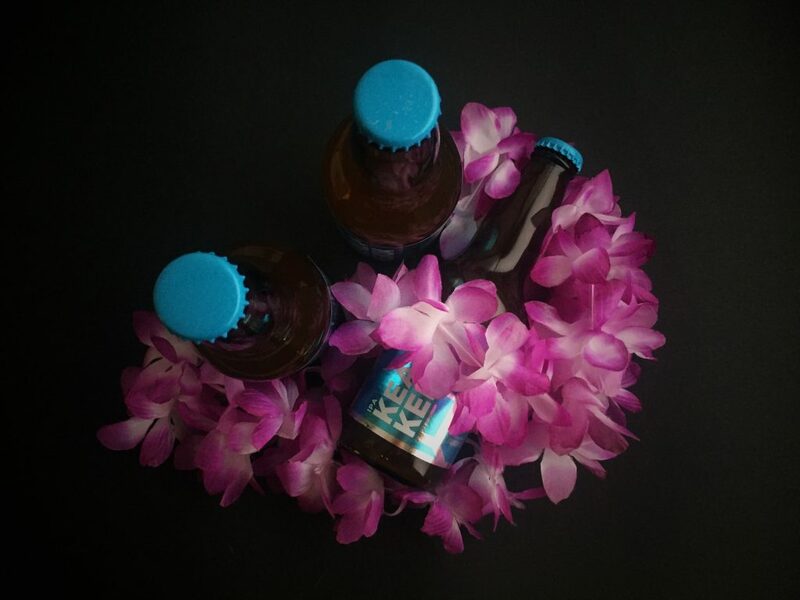 We think of tropical nights, a foggy sea and the warmth of Hawaii while we enjoy Kealakekua IPA. While brewing we added large amounts of different hop varieties and finished off with Galaxy. What we got was a magnificient drink, juicy yet just the right amount of bitterness in it's taste. Kealakekua IPA will be released in Alko's selection of craft beers on 5.2.2018. The availability of the beer depends on the restaurants.